Looney Tunes is making a comeback. Recently, Warner Bros. announced they are reviving the cartoon shorts for a new TV series. BURBANK, Calif. (June 11, 2018) – Warner Bros. Animation is announcing its most ambitious Looney Tunes content initiative to date with Looney Tunes Cartoons, a series of new short form cartoons starring the iconic and beloved Looney Tunes characters. 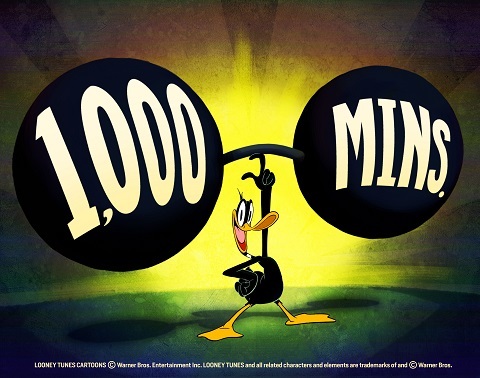 With multiple artists employing a visual style that will resonate with fans, each “season” will produce 1,000 minutes of all-new Looney Tunes animation that will be distributed across multiple platforms – including digital, mobile and broadcast. Looney Tunes Cartoons echoes the high production value and process of the original Looney Tunes theatrical shorts with a cartoonist-driven approach to storytelling. Bugs Bunny, Daffy Duck, Porky Pig and other marquee Looney Tunes characters will be featured in their classic pairings in simple, gag-driven and visually vibrant stories. Each cartoon will vary from one to six minutes in length and, from the premise on through to the jokes, will be “written” and drawn by the cartoonists allowing their own personality and style to come through in each cartoon. What do you think? Are you a fan of Looney Tunes? Will you watch the revival? More about: Looney Tunes Cartoons, Looney Tunes Cartoons: canceled or renewed? It’s about time that the cartoon elite of Looney Tunes characters are given new shorts to star in. I hope they bring back all the zany antics like back in the Golden Years. I want to see dynamite and Acme products again. I want the animation to look like an improved hand animated series. Not that computer animated three dimensional animation you find on tv today. They had some Bugs Bunny cartoons made within the last decade or so and they were alright except that Bugs looked slightly different and didn’t use any dynamite. The characters are awesome, but who will do the voices? The voices were as much a part of the character as anything. Only one Mel Blanc! I hope they find someone who can come close!